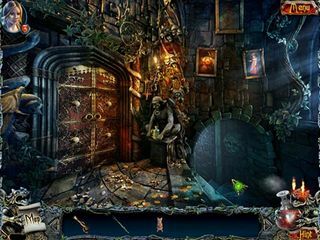 Mysteries and Nightmares: Morgiana is a great hidden object puzzle adventure game for android or mac devices (for the mac version go here). The story will keep you wandering for quite a while before you find out the shocking truth behind the mysterious situation you find yourself in. One day she wake up in an abandoned castle with mystic creatures. Somebody could say that the game teaches against favoritism toward one child over another, but let's not dig that deep and just stick to the facts. There was a king and a queen with two daughters. Well, the baby of the family has conquered the love and attention of her parents with her sweetness leaving the older sister feel forgotten and not important. Jealousy is one of the ugliest feelings that can lead to a lot of trouble. In this case the trouble found the younger sister. One day she wake up in an abandoned castle with mystic creatures. Did I mention that hte sisters were born with magic powers? Yeah, you will have to go through many different worlds to remember who you are and what has happened to you. You are not going to be alone on your quest. A little talking mouse will accompany you and even help you with items out of your reach. You will also meet a few dwellers of the different worlds you travel through. The game is not your sweet fairy tale, it is more of a horrific kind. The graphics are not the best you've seen in this genre, but still quite good for a mobile instalment. 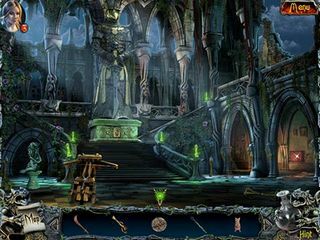 A lot of dark scenes with gothic architecture. But the sound effects create this terrifying dramatic atmosphere. 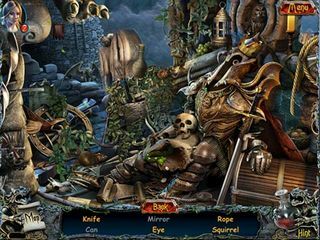 Prepare for hidden objects levels, mini-games, puzzles, and even a few match three levels. The gameplay incorporates your magic abilities that you are going to develop on your journey. The game challenges you to overcome the dark power that caused so much chaos for you and your family. This is Mysteries and Nightmares: Morgiana review. Download this game here.